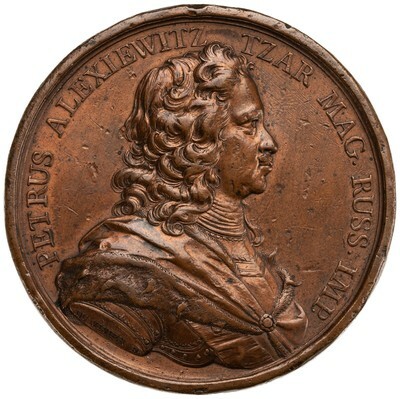 Obverse: PETRUS ALEXIEWITZ TZAR MAG. 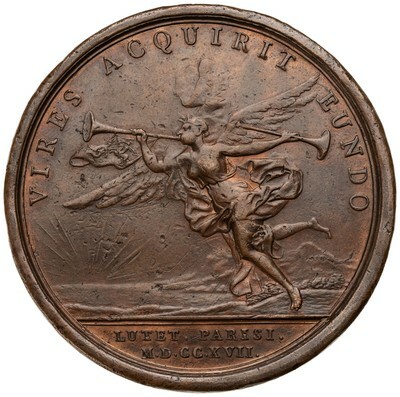 RUSS. IMP. - Bust of Peter I. cuirassed and draped in emine mantle, r.
Symbol: in shoulder of bust: DU VIVIER F.
Note: This medal was struck in Paris to commemorate Peter I's visit to Paris Mint in 1717.